Some of the best REI deals out there are simply empty properties. Many distressed properties are owned by people who, for one reason or the other, had to abandon them. This screams opportunity! As a real estate investor, tracking down these owners can be an expensive, futile wild goose chase. Often, regular marketing tactics don’t work with these hard-to-find owners. This is where intelligent skip tracing comes in. 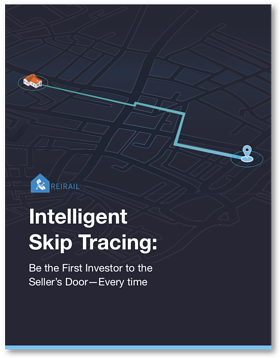 Instead of using tools that are clunky or overpriced, you can conduct skip tracing that gets you the information you need, when you need it. Download the free e-book today.